I spent the last decade-and-a-half listening to the nation’s military leaders explaining, over bacon and eggs, how the U.S. was making progress in Afghanistan. Ever since 2001, officers and their civilian overseers would regularly stop by the Fairmont Hotel in Washington, D.C., to explain to a bunch of reporters how the nation’s longest war — although it didn’t reach that point until June 2010, when it eclipsed Vietnam — was going and why it was worth pursuing. I did that as a reporter for Time, where the rules of the road required a certain detachment that kept one from using barnyard epithets as their justifications for the fit-and-start war unraveled year after year. But I’m no longer constrained by such strictures, which leads me to say poppycock. One can only take the constant spinning for so long before becoming dizzy and cynical over can-do officers who can’t-do—and lack the guts to say it can’t be done given the tools they’ve been given. Their failure to do so cheats every Afghanistan-bound young man and woman wearing the uniform. As an American stung by 9/11’s horrors, I wanted the U.S. military to wipe out the perpetrators. In the Pentagon’s hallways in late 2001 there was an expectation that the war would be over quickly, and it was, in terms of toppling the Taliban. I traveled to Afghanistan in the early years, charting the war’s progress. Almost imperceptibly, the U.S. charter was growing into a mammoth mission to groom a cohesive nation instead of the patchwork of warlords that Afghanistan had always been. So now is a good time to revisit those Defense Writers Group breakfasts to recall the conflict’s gilding since Pres. George W. Bush launched the U.S. invasion on Oct. 7, 2001. Its aim was to punish the Taliban for sheltering Osama Bin Laden’s Al Qaeda, which had carried out the 9/11 attacks that killed nearly 3,000 the month before. Since then, the war has cost the nation 2,304 lives and ultimately will cost more than $1 trillion. But that remains, more than 15 years later, a distinction without a difference. If the United States requires a terrorist-proof Afghanistan, and Afghanistan can’t produce that on its own, the United States will stay there indefinitely. Did that mean the United States had turned a corner after more than two years of fighting? “I don’t want to use the term turn the corner, seeing the light at the end of the tunnel, or any of those types of terms,” he said. “I’d say we’ve made good progress.” That was nearly 14 years ago. Twenty months later, another four-star general suggested that corner was getting closer. 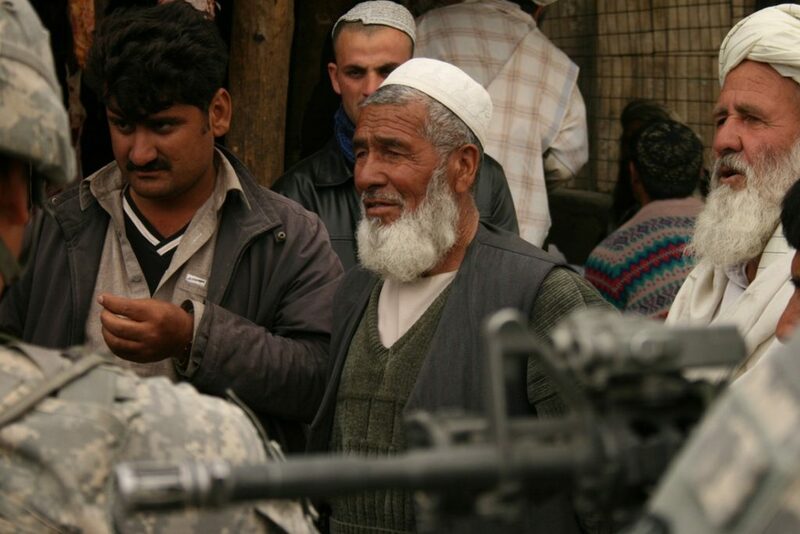 “The fundamental problem in Afghanistan is to ensure that the central government continues its program of outreach and makes its presence felt out in the countryside, that develops instruments of good governance, that there be, as rapidly as possible, a rule of law that is enforceable and manages to solve the number-one problem, which is narcotics,” Marine general Jim Jones, then the NATO chief, later Obama’s first national security adviser, said in October 2005. Later that year, Pres. Barack Obama ordered a surge of 30,000 more troops into Afghanistan, boosting U.S. forces to their peak of 100,000 in 2011. Yet that ended with Obama’s decision to bring the troops home. He declared combat over in 2014, cut U.S. forces by 90 percent, and the Taliban have been regaining ground ever since. He, and the American people, had lost the will to keep fighting. The war went from a full boil to a steady simmer, with U.S. casualties low enough to keep fighting ad infinitum. Well now. Full stop. Afghanistan is nothing but a treadmill. The United States has no will to win. If it did, Congress would declare war, with the backing of the American people. As it is, they can’t be bothered. Forty million people watched Obama’s televised address on Afghanistan in 2009. Only 28 million—8.7 percent of the country—saw Trump’s. The idea of building a nation that can stamp out terrorism only makes sense if you ignore the fact that several of the 9/11 hijackers plotted in Germany, and that the United States has its own homegrown terrorists. There is no move by the United States to attack Germany, or itself. Today’s terrorists don’t need bases and camps that can be destroyed by drones. They can meet in cyberspace, hidden in kitchens and dens the world over. Thousands of troops fighting for decades doesn’t deal with that. Before winning the White House, Trump repeatedly called for the United States to pull out of Afghanistan. But at Fort Myer he declared his intention to follow the path of least resistance. He bent to the will of his troika of generals—Kelly, McMaster and Defense Secretary Jim Mattis. His words echoed the sunny-side up optimism of Mills, Toolan and Gurganus, those three other generals who had come to breakfast. “The military-industrial complex wins,” conservative firebrand and Trump-ally Ann Coulter complained.